Great Trango Holdings, Inc. (GTHI) of Louisville, Colo., is recalling about 220 Trango Raptor ice tools. The firm has received two reports of the head of the ice tool detaching from the shaft. No injuries have been reported. 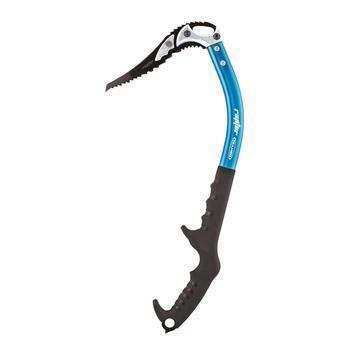 The ice tools, manufactured in Korea, were sold at authorized GTHI dealers and outdoor specialty stores nationwide and online at www.trango.com from October 2015, through February 2016, for about $175. Consumers should immediately stop using the recalled ice tools and contact GTHI for a full refund or replacement. Owners of the recalled tools have been contacted directly. Consumers may contact GTHI at 800-860-3653 from 8 a.m. to 5 p.m. (MT) Monday through Friday, by email at raptorrecall@trango.com or online at www.trango.com and click on Product Alerts for more information.